This animation consists of two frames, 6000 ms/frame and 1000 ms/frame. The shorter image is monochromatic and does not give illusion. If observers fix their eyes on somewhere and see the longer image to adapt it, then the shorter image gives reversed rotating appearance. "Rotating snakes illusion aftereffect 2"
This animation consists of two frames, 8000 ms/frame and 2000 ms/frame. 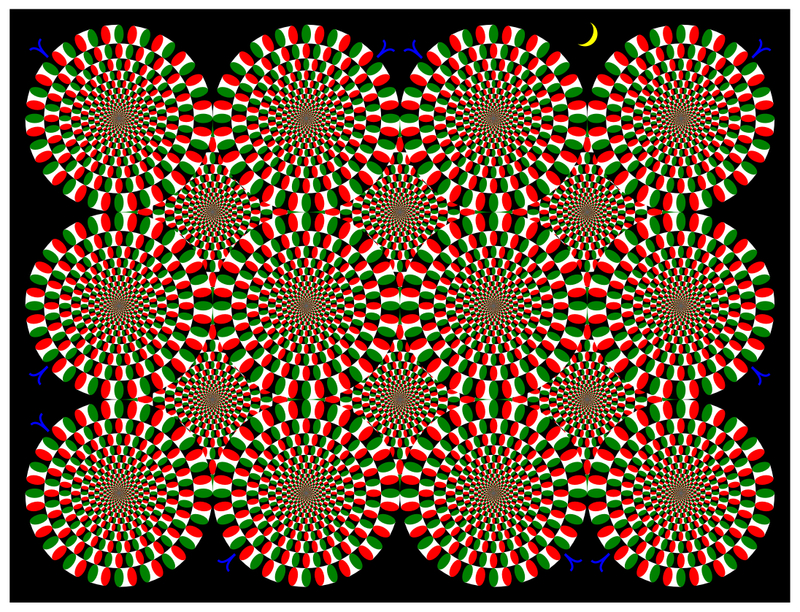 The shorter image is chromatic and does not give illusion. If observers fix their eyes on somewhere and see the longer image to adapt it, then the shorter image gives reversed rotating appearance. "Rotating snakes illusion aftereffect 3"
This animation consists of two frames, 6000 ms/frame and 1000 ms/frame. 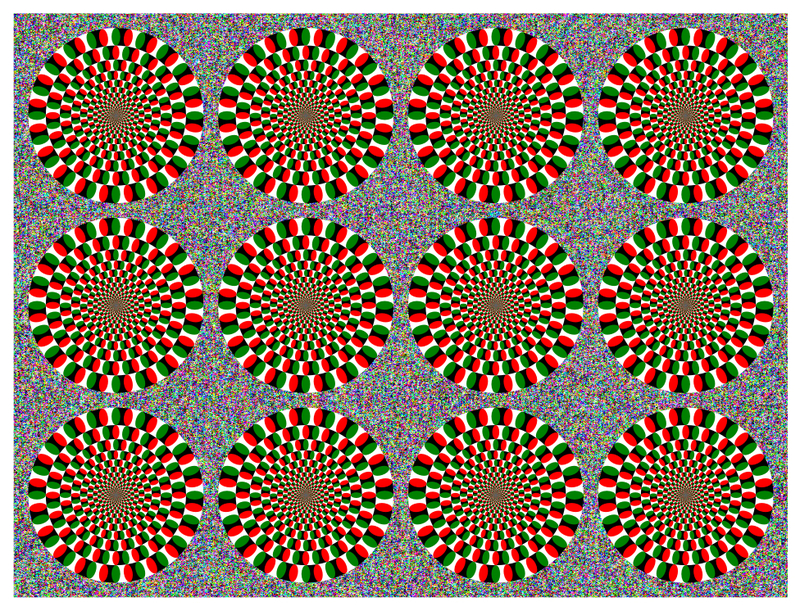 If observers fix their eyes on somewhere and see the longer image to adapt it, then the shorter image gives stronger rotating appearance. 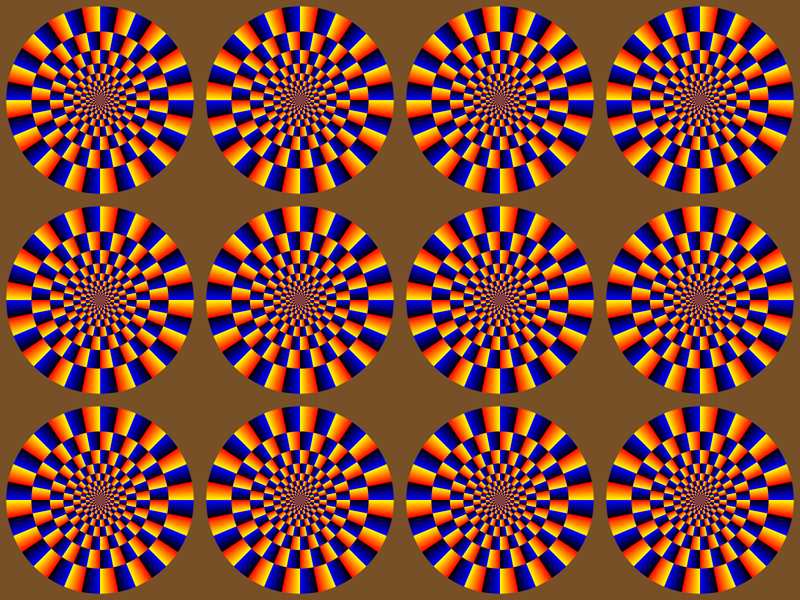 Disks appear to rotate. This animation consists of two frames (2000 ms/frame). 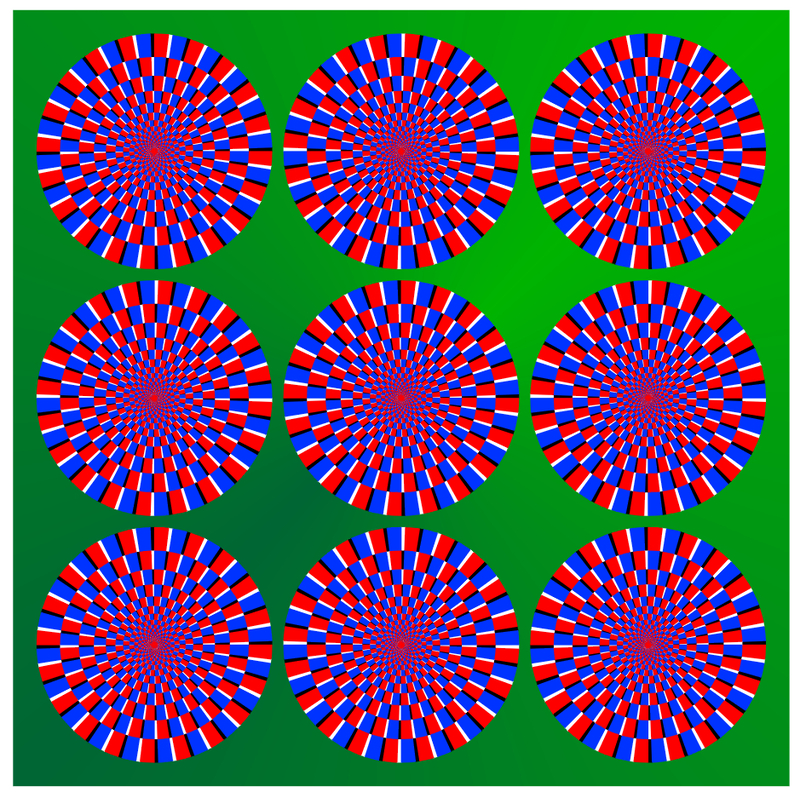 Disks appear to rotate. This animation consists of two frames (1000 ms/frame). 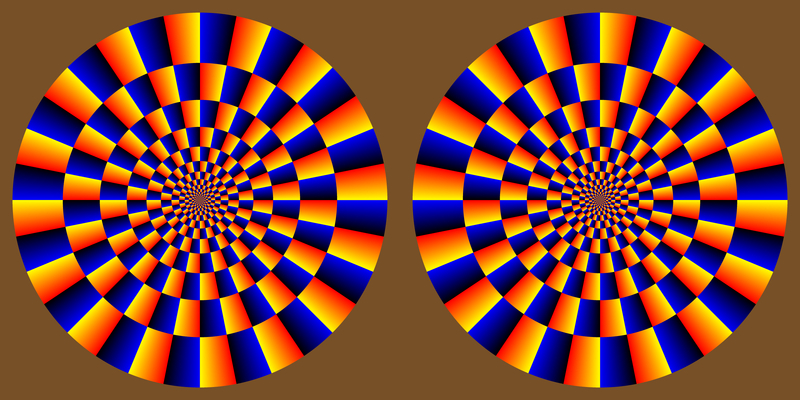 Disks appear to rotate. This animation consists of two frames (500 ms/frame).